Its simple, you must see this show. Alberto Giacometti’s iconic sculptures have become the focus of Peter Lindbergh’s keen photographic gaze. The German photographer of many Vogue covers was invited by the Kunsthalle in Zurich, who owns the largest Giacometti collection in the world, to take these images and challenge the way people look at Giacometti’s work. This exhibition in the Gagosian gallery in London brings together both the photos and sculptures in a uniquely curated show. The thing that Lindbergh has been able to do is capture the humanity in Giacometti’s work, the life in them. The mood, the texture, the substance to be found in the shadows. These images are illuminating, the affect of perspective and the framing of view. You see the purity of Giacometti. These shots have, in a way, become a portrait of the soul of the artist. 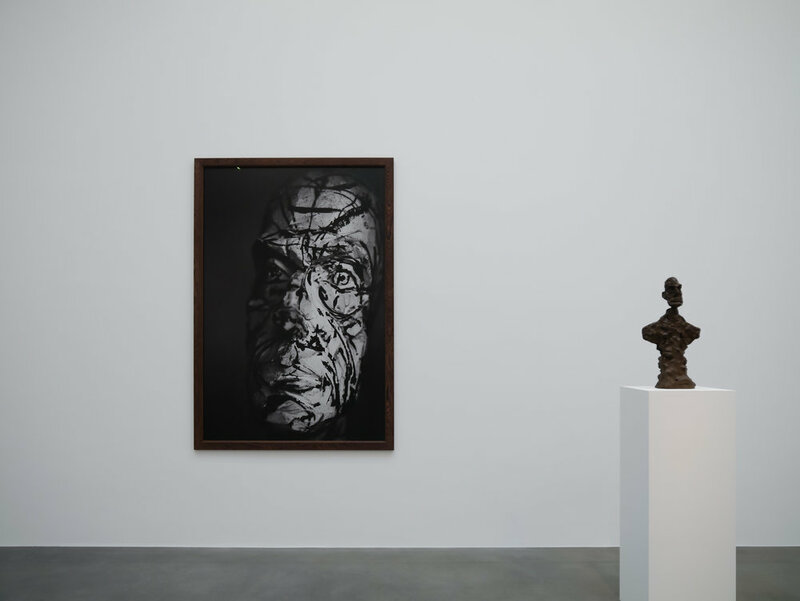 Peter Lindbergh, Alberto Giacometti, Buste de Diego (ver 1964–1965), Zurich, 2016, 2016, Hahnemuhle Photo Rag® Baryta 315 grs, 2017, 70 7/8 × 47 1/4 inches (180 × 120 cm), edition of 3 © Peter Lindbergh. The London Gentleman. A Curated Travel and Lifestyle Guide.